Deus Ex: Human Revolution and Dragon Age 2 are two very different games. But within the stories they tell, both present it in a very similar fashion. Both made a social commentary on how people debate issues, and forced the player into experiencing different perspectives. The great concern in the world of Deus Ex: Human Revolution is the emergence of mechanical augmentations. Amputees and paralyzed individuals can use them to acquire normal movement again. But the technology has advanced so much that the functionalities have surpassed biological limbs. Many people underwent elective procedures to replace limbs with artificial versions. Some used the technology to attain power, and a group of these individuals attack the company you work for, killing your friends, your ex-girlfriend, and almost kill you as well. Adam Jensen suffered a traumatic experience at the hands of people who possessed killing abilities they never would have had without mechanical augmentations. Now you’ve also been augmented to such an extent. As you play, the game makes the player encounter certain situations and stories to encourage them to think about the issue of human augmentation. Especially throughout the side quests, the player experiences stories of augmented individuals committing crimes. Some of which may be able to convince the player that the crimes are justified. The player also encounters criminals who lack any augmentations. So is it the augmentations that are the problem? Is it just people being people? 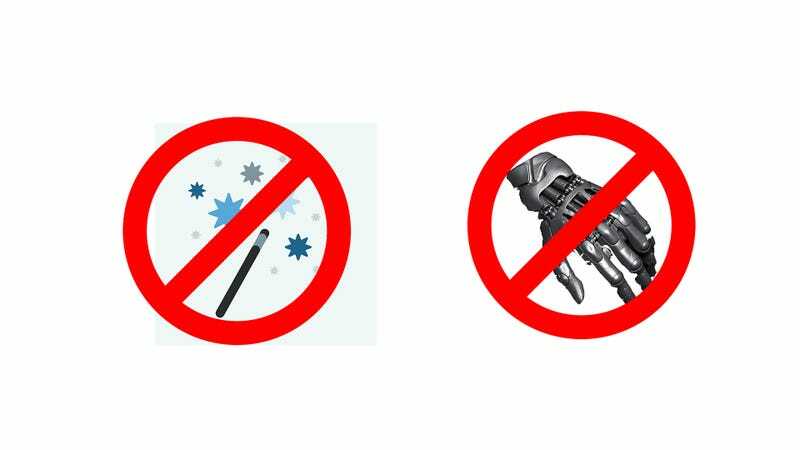 Should the technology be prohibited? After all those different stories, I couldn’t help but ponder these questions. I imagine it was the case for most players. It was all to inform which decision the player would make at the end of the game. Dragon age 2 does the same with its quests. The point of contention in this universe is magic. Is it inherently dangerous? If it is, does that mean that mages are dangerous as well? Within the dragon age universe, the widely accepted answer to these questions happen to be “yes”. Mages are blamed for the existence of darkspawn, and the dominant religion deems magic to have a corrupting influence. Driven insane by the loss of his wife, a deranged man kills the main character’s mother. He attaches some of her body parts to those of other women he’s killed, and uses blood magic to reanimate this frankensteinian abomination. Perhaps if the man didn’t have the magic, he still would have done what he did, he was insane after all. Still, magic was still a factor, so it makes me wonder. They say that hatred breeds more hatred. Nowhere within the game is there more evidence of this than in the mage, Anders. Possessed by a spirit of pure justice, his hatred for those who hate mages corrupts the spirit into a spirit of vengeance. He uses you to mass murder innocent people, so that he can intentionally start a war between mages and the Chantry, so more people can die. People won’t say Anders did this. They’ll say mages did this. Again, the game does this to inform which side you choose at the end. Are the Templars correct, and mages need to be brought to heel? You’ve seen first hand what they’re capable of, right? Would any of this have happened if mages weren’t being treated like criminals for simply existing? The main difference between the augmentation of Deus Ex and the magic of Dragon age, is that augmentations are elective. People are born mages in Dragon Age, they can’t help being who they are. But people are afraid of them, so Templars come and lock them away in a tower. If they fight back or run away, they are killed. It’s quite obvious that everyone has some learning to do. There’s nothing wrong with having a school for mages, like the circle of magi. Mages need to understand that there is a degree of danger when it comes to magic. People have been known to spontaneously combust around small children. Templars need to understand that if you treat innocent people like criminals, restrict basic freedoms, and kill them or worse, lobotomized them if they misbehave; then a violent response is inevitable. If not Anders then something else would have triggered the war. I really hope this kind of storytelling doesn’t go extinct. Side quests don’t have to be simple filler. They can be more. I’m looking at you, Dragon Age: Inquisition.